Read the Triangle Arts & Entertainment Review of the show! One weekend left of Curious Accidents! See what Martha Keravuori and Chuck Galle thought of Saturday night's performance. Curious Accidents & Unexpected Consequences: What will the audience experience? It's time! Curious Accidents & Unintended Consequences opens tomorrow, May 12th! The cast includes 4 adults and two seniors from Research Triangle High School. Want to know what the cast of Curious Accidents & Unintended Consequences hope you experience at these shows? Watch the video below to find out! What Will the Audience Experience? from Tactile Productions on Vimeo. 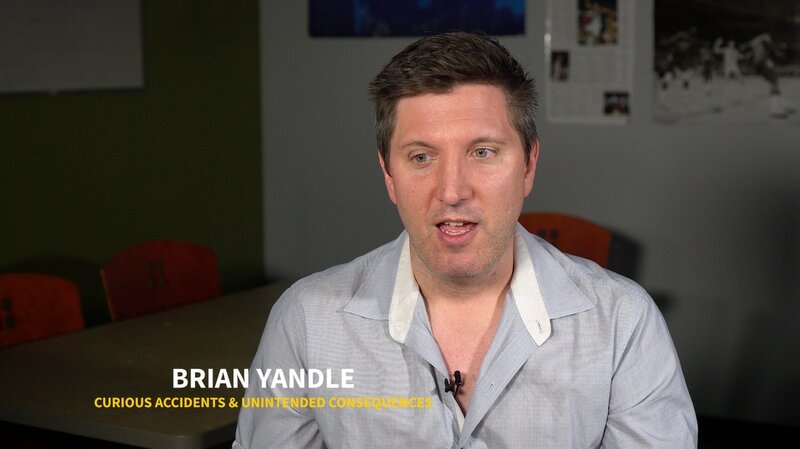 VIDEO: The cast members & director of Curious Accidents & Unintended Consequences share their thoughts on what they hope the audience will experience at the upcoming shows. 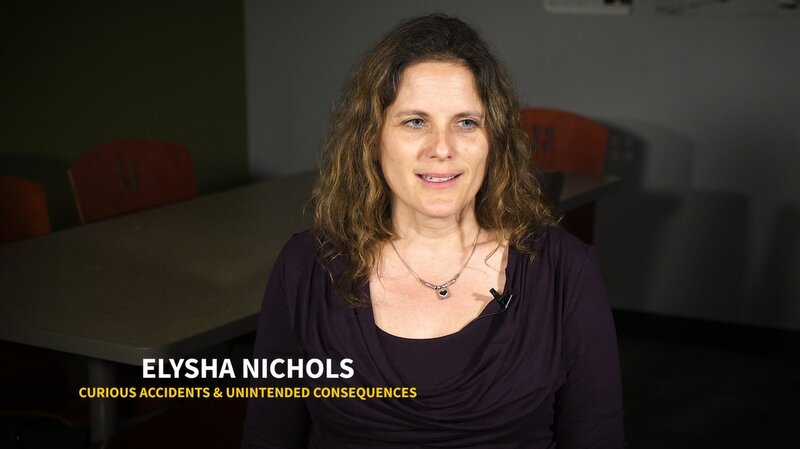 We hope you'll join us for Curious Accidents & Unintended Consequences. You've never seen it before. And you'll never see it again. ​Six nights only.​ $5 students, $10 adults. 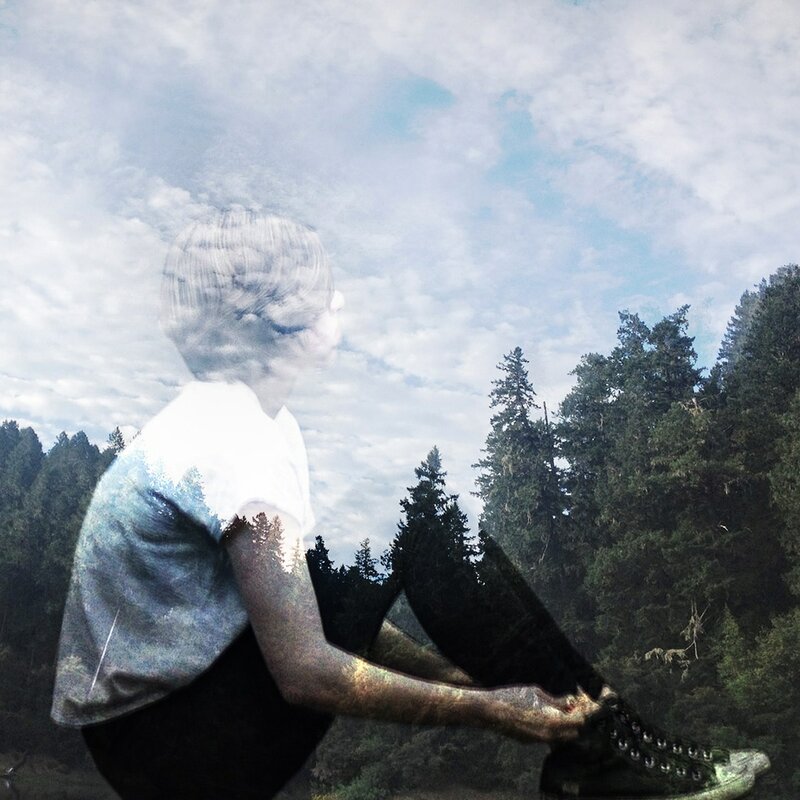 We thought we'd get creative with our cast photos by experimenting with double exposures. 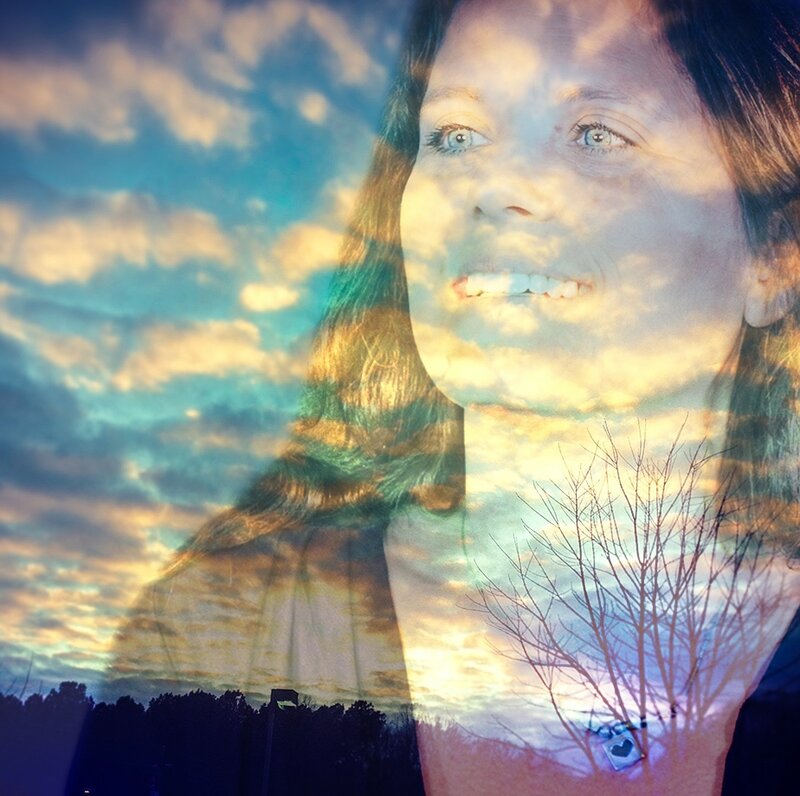 It seemed appropriate because back in the day when people took photos with film, a double exposure occurred as a curious accident and an unintended consequence--often producing a more magical outcome than a planned photo. 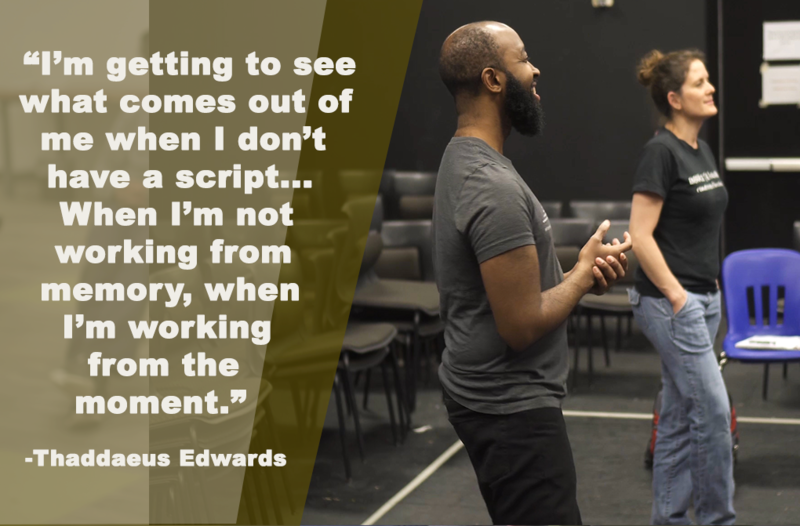 Thaddaeus Edwards has performed in the Triangle over the past 15 years but this is his first time tackling improv. Past performances include The Best of Enemies, Spirits to Enforce, Middletown, The Brothers Size (Manbites Dog); Our Town, Celebration, Jade City Chronicles, Vol 1 (Little Green Pig); and The Parchman Hour (Cape Fear Regional Theatre). He would like to thank Martha Wayne for her unwavering companionship. 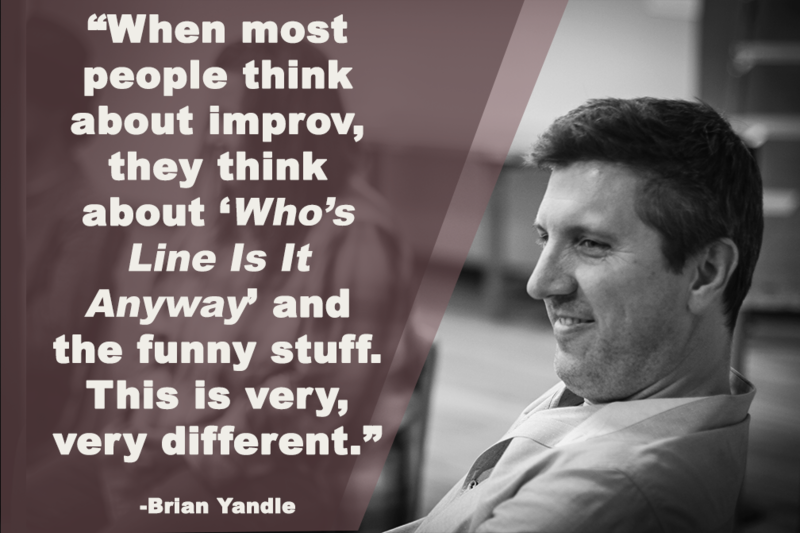 Brian Yandle is a local Raleigh actor, director and producer and is co-founder of ABigWigProduction. 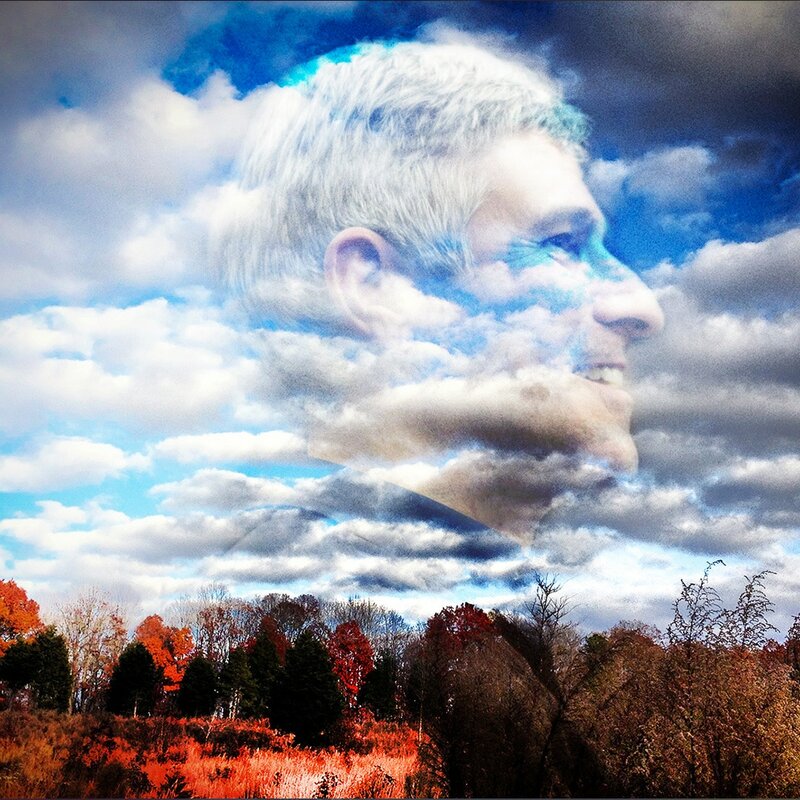 He was recognized in IndyWeek as one of the best directors in 2013. 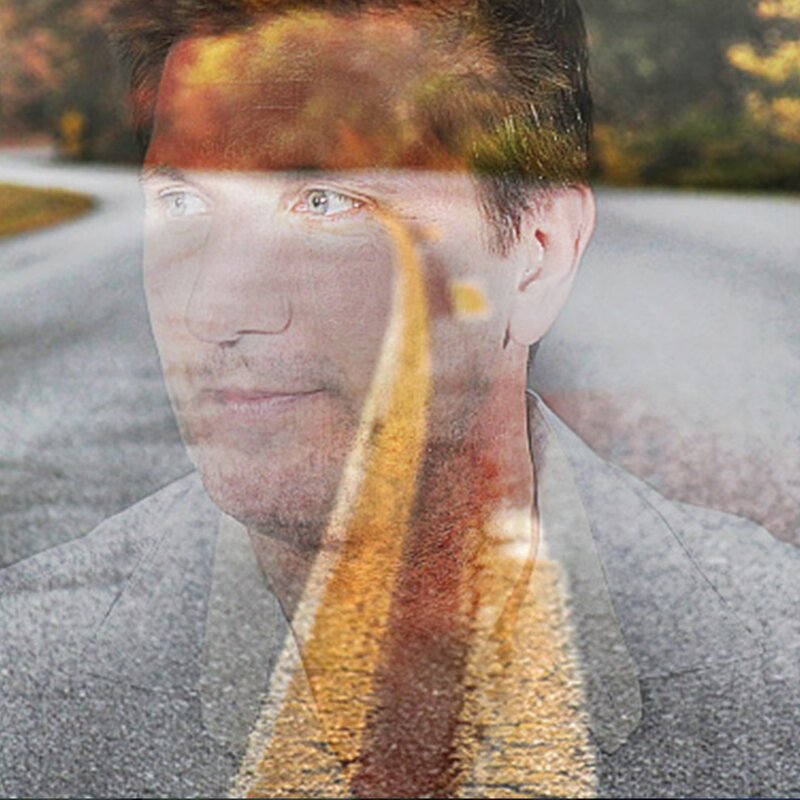 He has performed in film and live theatre all over the country for 25+ years and was most recently seen in All My Sons at Theatre Raleigh and Almost, Maine at Theatre in the Park. He hasn't performed as an improvisor since the early 2000s with Bay Area Theatre Sports in San Francisco, unless you count improvising thrills, joy and delight each week day as a corporate monkey. Improv is embracing failure and dancing in discovery. Let's do this. 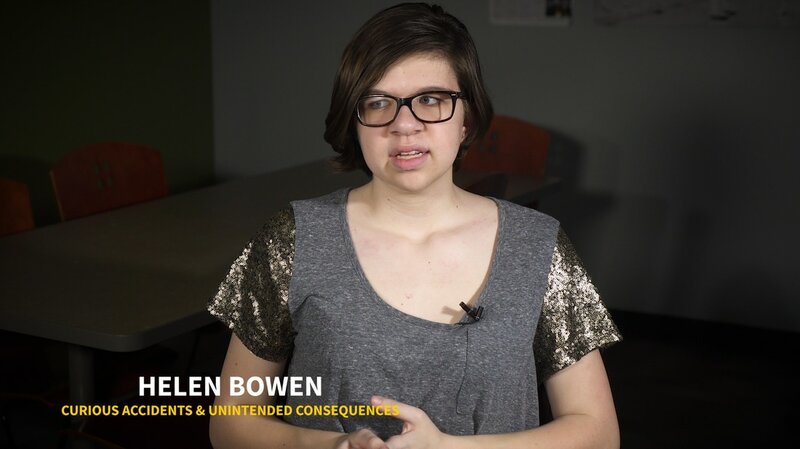 Helen Bowen is a senior from Research Triangle High School who has done theatre for the last four years. Most recently, she performed as Kate Keller in All My Sons and the First Witch in Macbeth. This summer, she'll be studying international business in Germany before going to Western Carolina University to study law and theatre. 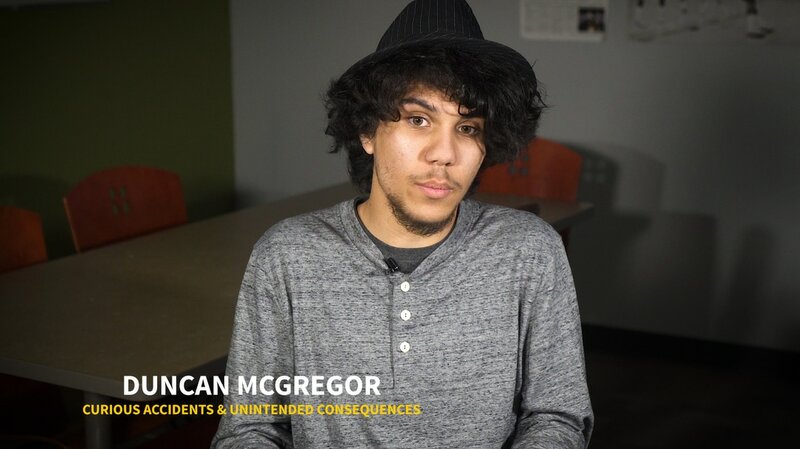 Duncan McGregor is a senior at Research Triangle High School. He is a member of the school's improv team. Page Purgar has performed in Uncle Vanya, Good People (Deep Dish); Blithe Spirit (Raleigh Little Theater); Fuddy Meers, Almost, Maine (Theater in the Park); Proof (Exit Through Eden); Kindertransport (Big Wig), and The Pride (Mortall Coile). Love to Steve and Marleigh. Elysha Nichols received her BA in Drama and Literature from Washington University in St. Louis, MO. 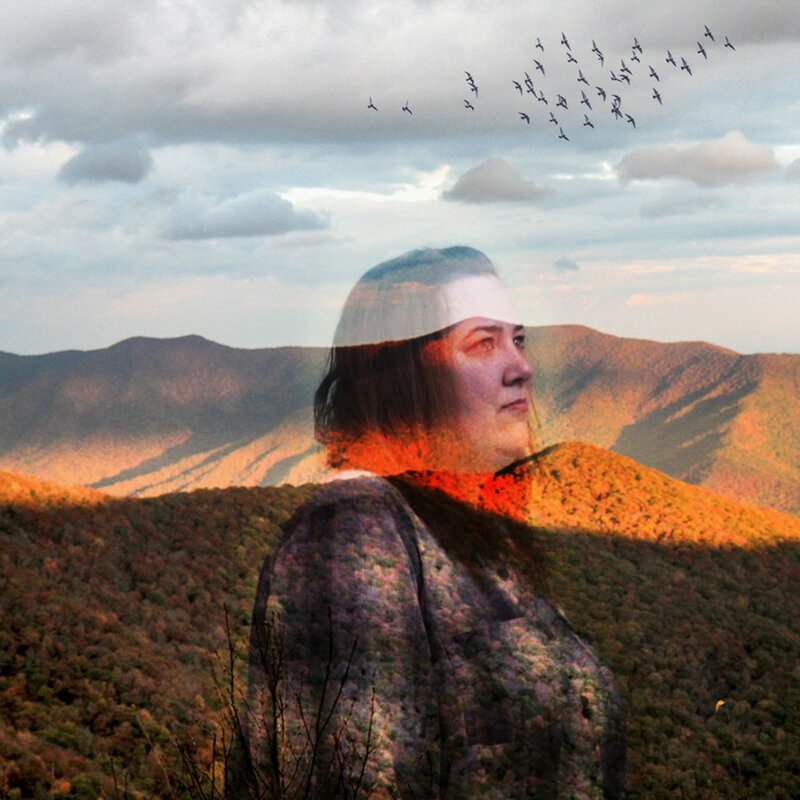 After a few years exploring the southwest, she moved to Nashville, TN and continued her training in the Meisner Technique with Actors Bridge Theatre Company. She performed with Actors Bridge and was also a member of the improv troupe One Hand Clapping. Elysha works at Wake Tech Community College in the College and Career Readiness Program. She lives in Raleigh with her husband Dan, daughter Ava, and Aussiepoo Maizy. J Chachula is the director of Curious Accidents & Unintended Consequences. He co-founded The Flying Machine Theatre Company with Marta King in 1999 and is a teacher, actor, and director. He is a graduate of The American Academy of Dramatic Arts and studied improvisation with Transactors Improv Company. He spent two years touring with the group before leaving to explore the intersection between improvisation and traditional acting. J has 25 years experience working with the corporate world, acting in industrial videos and using live role-play and improvisation exercises to train companies in more effective communication. 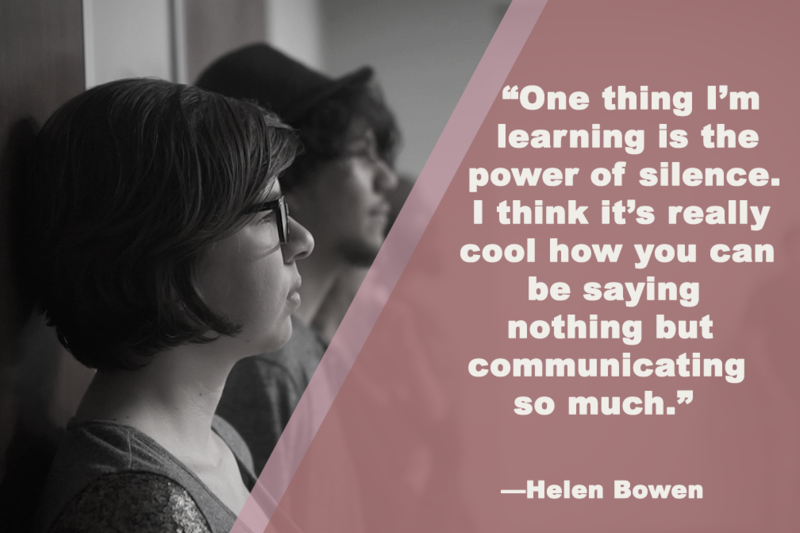 ​VIDEO: What are teens and adults learning about each other through improv? Watch to find out! "The divide between middle-aged adults and teens can be huge. That collision, that friction, is very interesting to me. I really wanted to see what happened when you brought these adults and teens together. What would happen if they could say whatever they wanted to say?" "It's really easy to approach teenagers with this 'you're a kid, you don't know anything' sort of mindset, which could not be farther from the truth." "My favorite thing about working with adults is that they have an entirely different perspective on life than we do. They've lived through their teen years. But a lot of them have...I don't want to say forgotten them, but Duncan and I are still in high school, we're going to graduate in a couple of months, and so we've got this very different view of life." "Some of my 'being a mom' stuff came out, which I wasn't too thrilled about, but I really like it. I like the idea that we're not all the same age and in the same place. It's really interesting. I've never done this before." "I do a lot of improv with teens, and it can get pretty crude, and just about getting a laugh. I like working with adults because I can be more serious. I remember the first time I worked with Elysha, she played a mom and I played her son, and it became a really emotional scene." 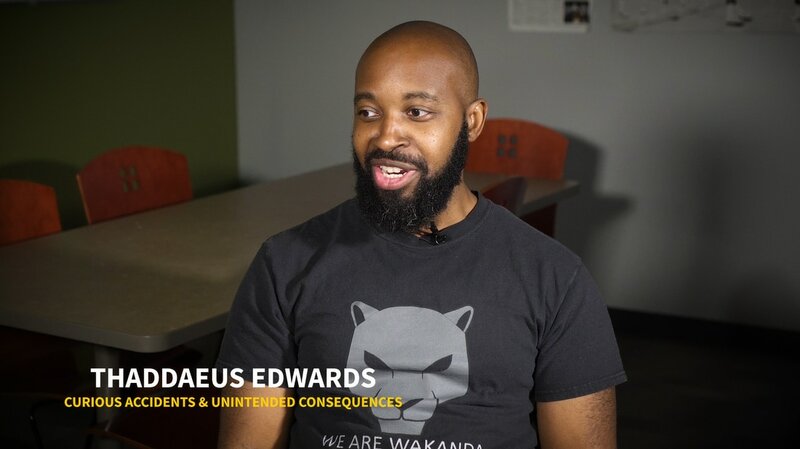 "The teens that we're working with on this project are so mature and bring a perspective that I don't remember having when I was their age." What Happens When You Take the Script Away From Traditional Actors And Turn Them Loose? The cast of Curious Accidents & Unintended Consequences take a rehearsal break and discuss their learning curves. "One really big thing I'm learning is the power of silence. It's really interesting to me how silence can be used as a tool. A lot of what we're trying to do when I do improv at school is we're trying to fill up the space, like there can't be a gap. Whereas with Flying Machine, we can take the silence and use it to create tension in a scene. And I think that's really cool how you can not be saying anything but still be communicating so much. 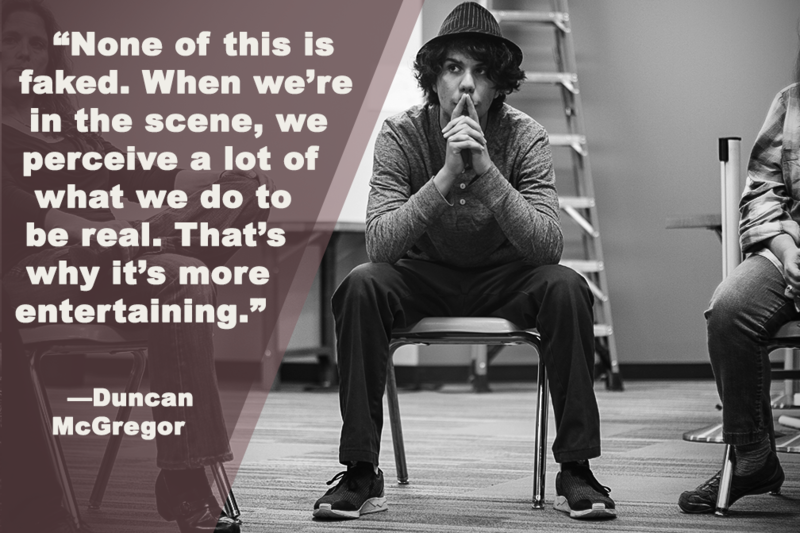 It really teaches you to use your whole body instead of just relying on the lines to get you through a scene." "It's like alchemy. You walk onstage with nothing and by the end of the scene you've created this story out of thin air in front of everyone. It's electrifying." "I studied theater in college, and I've done a little bit of professional theater here and there, and a little bit of improv--but it wasn't this kind of improv, it was the more schticky kind of improv, where you're trying to get a laugh. I love this type of improv because it's about being real and really connecting with and being honest with your feelings, and really working off the other person. So for me, this is the absolute kind of theater I want to be doing, and I love it." "I was always intimidated by improvisation because I'm used to a lot of rehearsal, having a script, having something to fall back on, but in a certain way, also to have a mask when I walk out onstage. And improvisation just sort of takes all that away. It's so bare. So it's intimidating, but is also really exciting. It reminds me of alchemy. You walk out onstage with nothing and by the end of the scene, you've created this story out of thin air in front of everyone. It's electrifying..."
"Improv is scary as heck. It's like building a plane while you're still in the air." ​"You know you hear improv and you think "Who's Line Is It Anyway?" and the funny, funny stuff. This is very, very different. This group can turn on a dime and take you from comedy to drama. It's all based in truth. People laugh at things because they find the truth in them. And people react to drama because there's truth in it. There's a whole lot of both of those things with this group." "I’m much more comfortable in a scripted world, where I’ve stayed for the last 15 years. So I'm learning to ignore my desire to plan ahead, to have a Plan B through Z. Having a plan in the scripted world is a good thing and it’s not something I ever considered could be an obstacle, but in this arena it’s not necessarily a good thing. You have to give up that safety net. And it's scary as hell--like building a plane in the air." The Flying Machine Theatre Co. returns from an eleven-year hiatus with its first piece of completely improvised theatre. Six actors—four adults and two high school seniors—will take the stage without the slightest idea of what is going to happen. 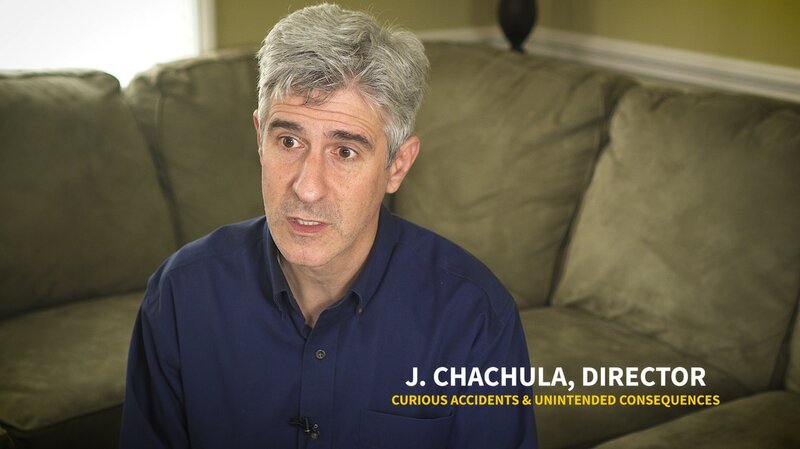 The concept for Curious Accidents & Unintended Consequences came from Director J. Chachula's own curiosity about what would happen if you merged an actors's willingness to be vulnerable, to be serious, to take on difficult subject matter and added the moment-to-moment flexibility of improv. "There was a world of improvisors and a world of actors, and they seldom got together. And it was a shame because they each, I thought, had something to teach each other. And I kind of had a foot in both worlds," he says. Curious Accidents & Unintended Consequences is a rare blend of these two worlds. There are six shows scheduled, each one will be different. "This really is an experiment. 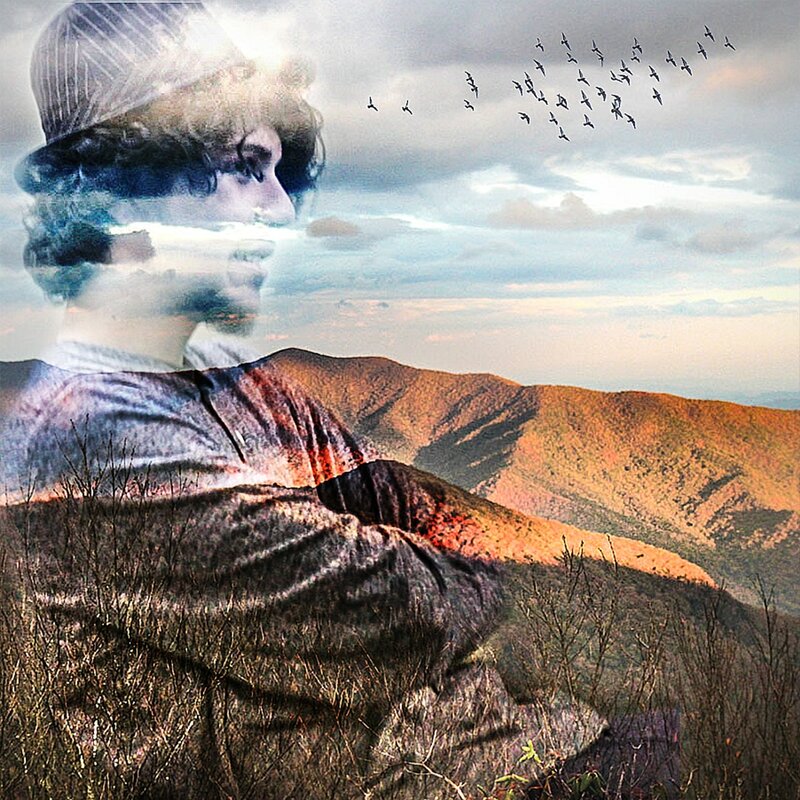 I haven’t the slightest idea what’s going to happen," says Chachula. I got a phone call once from a gentleman interested in taking some acting classes. He’d seen one of my flyers somewhere and thought he’d call and find out what my angle was. Very nice guy. We chatted for a while, and eventually he got around to telling me a few of his experiences. He told me about a show he’d done recently where one of the actors drove him crazy. Seems he was always changing things, and you never knew what he was going to do next. “Was he changing the lines?” I asked. No, it wasn’t that. It was that he kept changing the way he was saying the lines, and sometimes what he was doing when he was saying the lines. And since you couldn’t depend on him to do what he was supposed to do, he was behaving unprofessionally. I immediately knew which actor I’d prefer to watch, and it wasn’t the caller. Who wants to see an actor who plays it the same way every time? Who wants to see an actor who stubbornly insists on responding to what is supposed to happen rather than what actually is happening? Who want to see an actor play it safe? I once worked with a very gifted improviser who would come off stage after a wonderfully funny scene inexplicably disappointed in himself. I’ve done variations of that scene a hundred times, he’d say. There was nothing new there. Now, the audience loved the scene. But he was disappointed with himself for leaning (settling for?) on ideas that still worked but that bored the hell out of him. Some people might accuse him of being incredibly self-absorbed, that it wasn’t about him, it was about the audience. I’ve heard that statement many times, and I’ve said it myself. But come on. Acting is not a selfless pursuit. Actors are artists, and the artist that isn’t stimulated by the work he’s doing is doing a grave disservice to his audience as well as himself. From time to time I'll have students replay an exercise that we've done in a previous class. Sometimes a student will point out, "We've already done that exercise," as if I'd made a mistake or forgotten that we've done it before. I guess that some students find it odd that we're doing an exercise again. It makes me wonder: Do basketball players ever ask their coach, "Why am I practicing shooting free throws again? I did that yesterday." Or if members of a band ask their leader, "Why are we rehearsing that song again? We already practiced it once." Maybe I'm weird, but I like trying exercises again. When I was a student I'd often have a lot more ideas about what to do once an exercise was over than I did when it started. By the time I'd "figured it out" it was over - never to be played again. 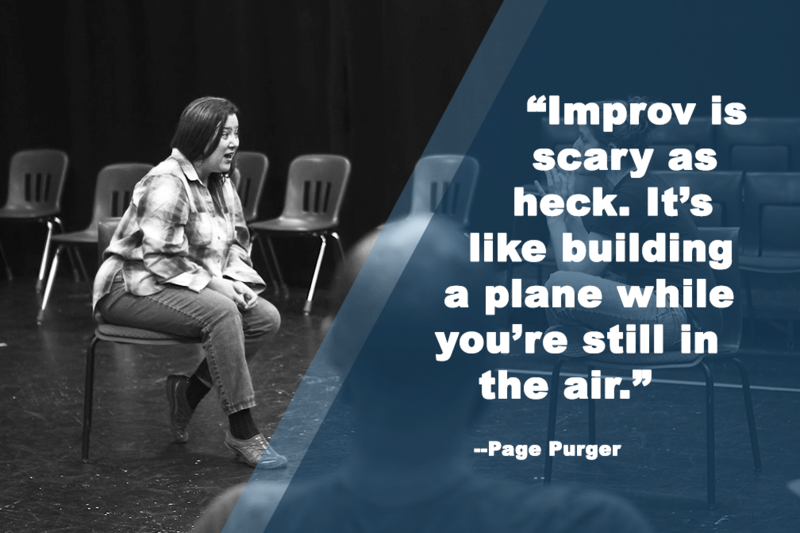 A well chosen exercise teaches a skill that's important in improv. You can't expect to master that skill by trying it one time any more that you can master a hook shot by shooting a couple or learn the intro to Stairway To Heaven in fifteen minutes. In fact, the longer I studied improv the more I realized that my teachers weren't actually teaching me anything I hadn't heard before. What they were doing was reminding of stuff I knew but wasn't doing. Improv is fun to do but only looks easy. The people who are good at it have put a lot of time into their craft. Much of that time is spent practicing fundamental skills over and over. So give that exercise a second try. If you "got it" the first time, try a different choice and see how that works. Or watch the other students and see what they do. I'll bet I've learned as much from fellow players than I did from the teachers. Keep in mind that whenever you decide that you're good enough at something and stop working on it, that's probably as good as you're ever going to be. And I never want to feel like I'm good enough. I always want to get better. My name is J Chachula and I'm the principal instructor at The Flying Machine Theatre Studio.